Our Log Cart's capacity of 200 lbs. 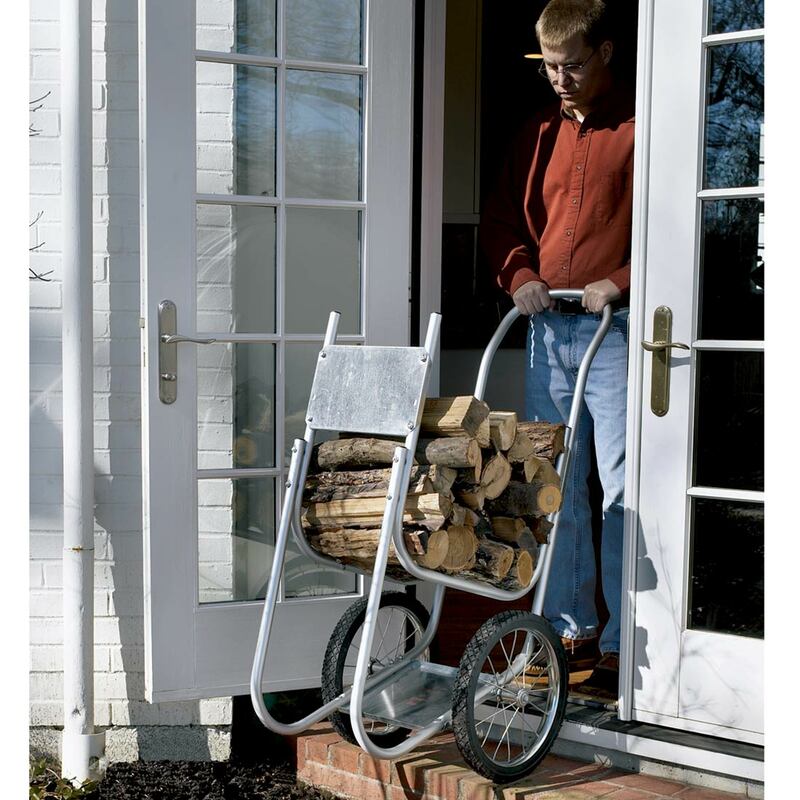 translates to fewer trips to the woodpile. Even when filled to the maximum, it readily negotiates rough terrain and snow—it even rolls up or down steps. It's ruggedly built of rustproof aluminum and features 16" dia. spoked wheels. 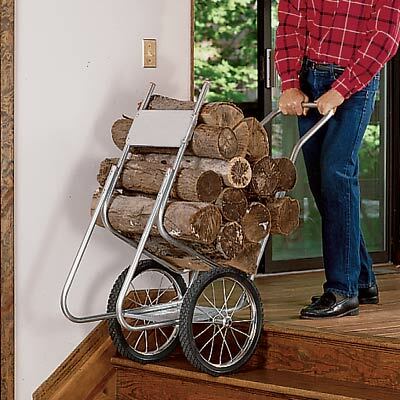 Not just for firewood, this Cart will haul any heavy, bulky items you can load. Measures approximately 48"h x 20"w., weighs 33 lbs. 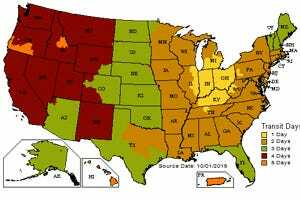 Manufacturers recommendation of 35 psi per tire. Slightly tough to assemble. Get biggest screw driver & great needle nose pliers to hold nuts. Handle didn't align w/ body. Off by about 1+ cm. Still functional, but leaves two 'tubes' open to rain.